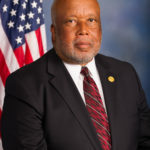 Bennie Thompson is the U.S. Representative for Mississippi’s 2nd congressional district, serving since 1993, and the ranking member of the Committee on Homeland Security since 2011. He is a member of the Democratic Party. The district includes most of Jackson and is the only majority-black district in the state. The district is approximately 275 miles (443 km) long, 180 miles (290 km) wide and borders the Mississippi River. The Mississippi Delta comprises the vast majority of the 2nd District. He is both the first Democrat and the first African American to chair the Homeland Security Committee in the House. "Any successful nominee should possess both the temperament to interpret the law and the wisdom to do so fairly. The next Supreme Court Justice should have a record of protecting individual rights and a strong willingness to put aside any political agenda."